While addressing the topic sports, some students asked me to dig a little deeper into the semantic area of football. As it is the national sport in England, where the first modern set of rules for the code were established in 1863, which were a major influence on the development of the modern Laws of the Game. 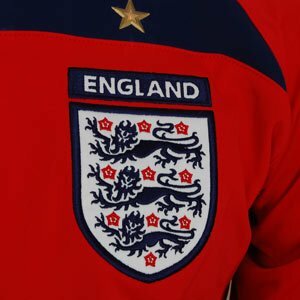 With over 40,000 association football clubs, England has more clubs involved in the code than any other country. England is home to, amongst others, the world's oldest association football club (Sheffield F.C. ), the oldest national governing body (The Football Association), the first national team, the oldest national knockout competition (the FA Cup) and the oldest national league (The Football League). Today England's top domestic league, the Premier League, is one of the most popular and richest sports leagues in the world, and is home to some of the world's most famous football clubs. The modern global game of association football was first codified in 1863 in London, but football was played in England as far back as medieval times. The first written evidence of a football match came in about 1170. So, let's have a close look at some specific 'football vocabulary'! Bear in mind this is only a short list, if you want to know more, you can check, for example, The Football Vocabulary Phrasebook, available for free download. Goal: a ball that crosses the goal line between the goalposts and below the crossbar, winning one point. Goal scorer: a player who puts the ball into the goal and so "scores a goal"
You have read this article British Culture / ELT / football vocabulary / sports with the title Football Vocabulary. You can bookmark this page URL http://catolink4.blogspot.com/2012/10/football-vocabulary.html. Thanks! No comment for "Football Vocabulary"